A new body has helped deliver exceptional 2019 Ford Super Duty specs. Now made from military-grade aluminum alloy, this is a groundbreaking heavy-duty pickup that can handle more than any competing vehicle. 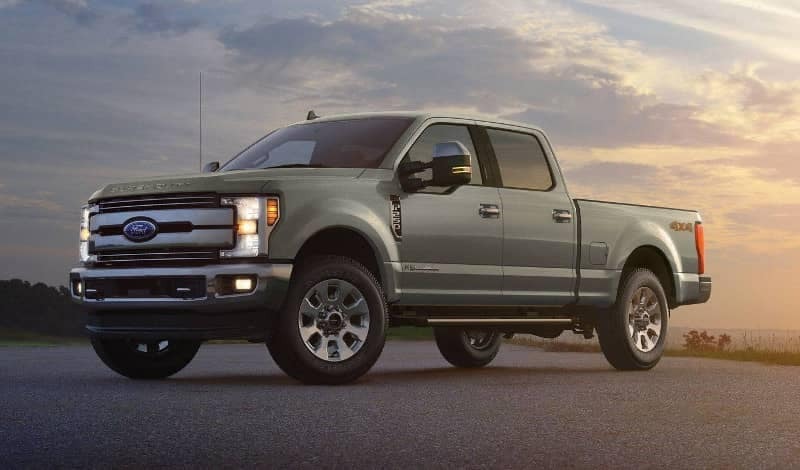 The new Ford Super Duty has cut down on weight, but that doesn’t mean that any sacrifices have been made when it comes to power. 6.7L Power Stroke Turbo Diesel V8: Makes up to a best-in-class 450 hp and 935 lb-ft of torque. Its special layout allows a single large turbocharger to be mounted closer to the exhaust manifold for faster displacement and more power. 6.2L Flex-Fuel Gas V8: No other gas-powered heavy duty full-size pickup commands up to 430 lb-ft of torque. The 6.2L is engineered for peak torque at lower RPM and high torque through the midrange band. And flex-fuel capability gives you something to feel good about. Powertrain tests replicated climbing up a six-degree grade over 500 miles, and the vehicle was put through four-post frame twists, gravel, dust, water, brine, and mud baths. Ford even intentionally tested it with worn or broken parts. All told, your Ford Super Duty can go the distance and then some. Payload: Up to a best-in-class 7,640 pounds. Towing: Up to 25,000 pounds with fifth-wheel towing or best-in-class 35,000 pounds with gooseneck towing. Gross Combination Weight Rating (GCWR): Up to a best-in-class 43,300 pounds. Whether carrying construction supplies around Madison or towing a laden trailer between Milwaukee and Green Bay, the Ford Super Duty never breaks a sweat. Want to take a closer look at next-generation capability and see what the 2019 Ford Super duty specs mean when you’re behind the wheel? 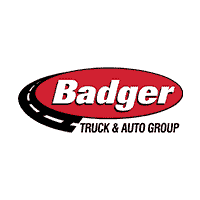 Don’t hesitate to contact Badger Truck & Auto Group or visit your nearest location.